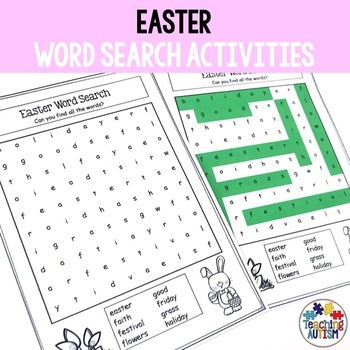 This Easter word search activity pack contains 2 levels of word search worksheets, blank word search worksheets for students to make their own Easter word searches and also vocabulary posters that include all the vocabulary used through all the word searches. 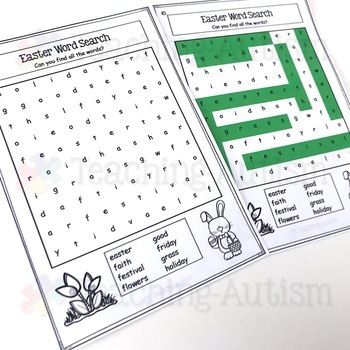 These worksheets come in b/w for ink friendly printing and are appropriate for all spelling types - UK/US etc. 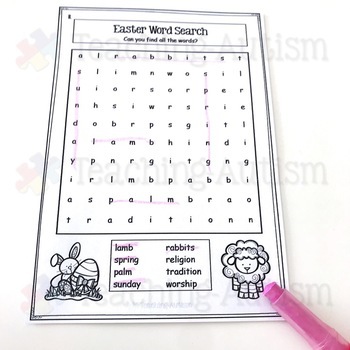 The worksheets require no prep, simply print and hand out. 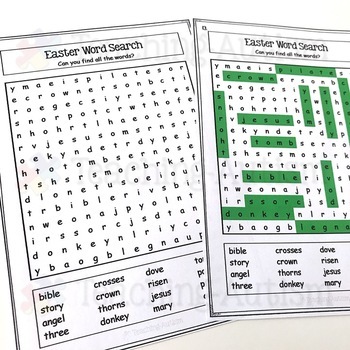 These are great time fillers, literacy centres, or even to be left on sub days.